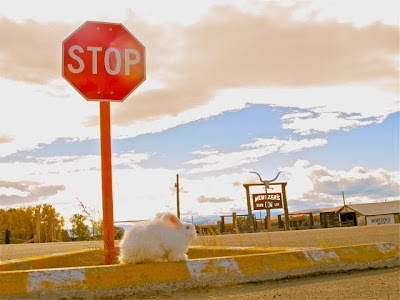 Like the stop sign at the end of the earth with...oh yeah...phantasmagorical white rabbit. Stop and smell the bunnies. P these are all so wonderful. As always, you have an incredible eye and I love your work. I have Hello Bunny framed and hanging in Bunnyville. I love it.